With its cool look and the battery invisibly built into the frame, we are convinced the Pure Volta is the next stage of e-bike development. Plus it is a truly excellent ride. W ith its ultra-modern design and hidden battery, Pure Volta is the future of electric bikes staring us right in the face. Only 37lbs. 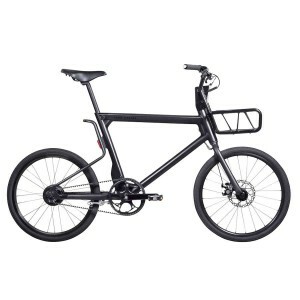 total weight, it feels like a normal bike but the 250w pedal-assist power-train more than delivers. 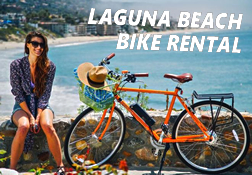 Pure Bikes of Los Angeles is known for it’s cool fixie single-speeds and stylish city bikes. Of course they had to go electric and the results are astounding. The Pure Volta represents the next step in electric bike battery technology. The Pure Volta is now available in a belt drive – single speed or a chain drive with eight speed gearing. Its in the top-tube, accessible from a door behind the font basket and can be replaced when needed by a qualified technician. Totally undetectable, the Volta from Pure Cycles features a 10s2p 2.9Ah cell Panasonic Lithium Ion Battery (36V, 5.8 Ah) with a range of up to 40 miles. The Pure Volta App provides surprisingly cool features like a GPS bike locator that notifies you if your bike has been moved and a lock-down mode that prevents your Volta from being ridden without your permission. Full control of the Volta is at your fingertips with one of the best e-bike apps out there. We love the lighting system on the Pure Volta. The integrated headlight automatically activates in low-light conditions and best of all, the Volta’s rear light brightens like car brake lights when you squeeze the brake levers. Great job Pure Cycles! We salute you. 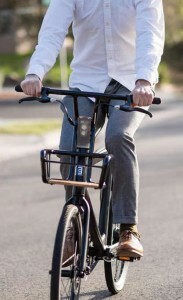 This entry was posted in Electric Cyclery News and tagged pure bikes, pure volta, volta electric bike.